Our lawyers represent clients from all across Ontario. From Southwest Ontario, Toronto, all the way to the Northern most part of this great province. I will be in Thunder Bay this month, and next month helping out innocent accident victims. People want to know what sort of differences we see in our cases from more urban settings such as London, Hamilton or Toronto, compared to more remote settings in the Northern Parts of Ontario. I can tell you that it doesn’t matter where you are; we see plenty of odd and strange stuff. Having said that, the odd and strange things we see in Northern Ontario are unique to Northern Ontario. Don’t believe me? Try these cases out for size! One of the most interesting cases we’ve dealt with at our law firm occurred on a Rural Road/Highway outside of Sudbury Ontario. John Doe was driving his Chevy Cavalier, en-route home from a job site. He was wearing his seat belt. He was not drinking and driving. Road conditions were good. Visibility was decent. But, the road way did not have any big street lights to keep the road visible. There were those little reflectors in the median of the road to keep it lit. As John Doe was driving, out in the middle of the road was a full bull moose. The moose likely weighed 500+ pounds. John Doe couldn’t avoid hitting the moose, and collides directly with it. The moose dies, and John Doe’s car flies off in to a ditch after hitting the moose. John Doe’s injuries were significant. He sustained a traumatic brain injury, along with internal bleeding, 5 broken ribs, a fractured sternum, a right tib/fib fracture, and broke his humerus. It took a while for the ambulance to come because the accident happened in such a remote area that nobody was around to call for paramedics; and the area was so remote that it took a while for paramedics to finally arrive. Ambulance took him to hospital, and he was eventually airlifted to a different hospital. Here are a few observations from the case pattern described above. Hitting a moose is rare in urban areas. Would you ever hear this fact pattern for a case in the General Toronto Area, or in Hamilton? Probably not. But in Northern Ontario, these are more common occurrences. The wait time for the ambulance to hear about this accident, and then for the ambulance to arrive at the scene was long. This is also uncommon for accidents which take place in more populated settings; but this is far more common for accidents in more remote settings in Northern Ontario. The response time can take a while. The fact that the person needed to be airlifted to a different hospital is not uncommon. But, it’s certainly more common place in Northern Ontario compared to other parts of the province where there is a greater concentration of hospitals and doctors who are more accessible. Many people want to know what happened with this case. You can’t sue a moose can you? The answer is no: you can’t sue a moose. But, one of the good things about being in an accident in Ontario is that we have a “no fault system of accident benefits”. Few people other than lawyers and insurance agents know how this system works, or what it’s supposed to do. At the end of the day, Ontario’s system of no fault accident benefits, at the very heart of it; is supposed to help the innocent accident victim; regardless whose fault the accident is, get better and receive the treatment and benefits they need to get back on their feet and to make ends meet. 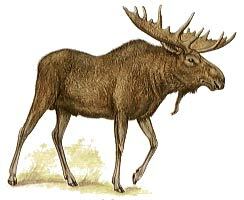 The case against the moose actually became a claim agains the driver’s own insurance company. They were not paying John Doe the benefits which he deserved. Hence, the services of Goldfinger Injury Lawyers were needed and our lawyers were there to help. Another observation about representing people in Northern Ontario is that we see far more accidents involving recreational vehicles (seadoos, skidoos, boats, snowmobiles, 4×4’s, quads, scooters etc.) than we do in more urban settings. This makes complete sense as you wouldn’t see a guy riding his snowmobile in the heart of downtown Toronto. Those accidents are always tricky as finding insurance can prove to be difficult. We also see that alcohol or wreckless driving prove to be liability issues in these cases. One final observation from representing people in Northern Ontario is that finding a lawyer can prove to be difficult. Some of the cases we’ve been retained on have been run by general practitioners, and not lawyers who focus entirely on Plaintiff personal injury. When we inherit the file, we see that mistakes have been made; some of which cannot be rectified. The reason for that is because the lawyers who previously worked on the file didn’t know what they were doing. I can’t blame them because their practice isn’t restricted to Plaintiff personal injury law. They might dabble in the area, and also practice in other areas such as wills, estates, criminal law, family law, business law etc. If you dabble in any of these areas, you won’t have the knowledge to get the most out of an accident victim’s case; let along stand up to the big bad insurance companies who are out to defeat your claim every step of the way. We don’t dabble in real estate law or any other area of the law. All we do is represent injured accident victims against insurers. That’s it. Leave the personal injury law to us. Having lived in smaller communities for the better part of the past decade, I understand how dabbling lawyers exist. Simply put, some areas are under represented and under populated. So, when you need a lawyer, you go to the local lawyer in town. You would think that it makes no difference if that lawyer doesn’t practice exclusively in personal injury law; he’s the community’s lawyer right; and a lawyer is a lawyer is a lawyer right? WRONG! Would you trust a dermatologist to conduct open heart surgery? They’re both doctors…The same principal applies to personal injury law; particularly with seriously injured accident victims. You would NOT want a dabbler or a general practitioner handing a catastrophic motor vehicle accident claim potentially worth millions. That multi million dollar case would quickly dissolve. When an insurer smells blood or weakness on behalf of the Plaintiff’s lawyer, they don’t back down. Any opportunity the insurer has to save a dollar, they will use. Even if that means trying to take advantage of a lawyer who’s in over their head in a field of the law they rarely practice in. Get somebody who knows what they’re doing and somebody you can trust. Our clients want to know if we have issues getting experts of finding experts in to their area. It’s generally not a problem finding highly qualified medical experts and health care professionals to work with our clients who live in remote areas of Ontario. Many of the doctors we work with travel. All of the physiotherapists and occupational therapists travel as well to work with our clients. Worst case scenario is that we arrange for transportation to get our client to the closest qualified medical expert for an appointment. Where you live should not be a concern or a worry for your case. Let us deal with the logistics. One last point on representing accident victims in Northern Ontario: the Courts are highly accessible; Court staff is very friendly, and the Courthouses are state of the art/gorgeous. Case in point: Thunder Bay’s brand new Courthouse is probably the BEST in the Province. It features the best of the best technology and it doesn’t look to shabby either. The wait time to get a Court date in Thunder Bay is certainly not as long as it is in areas such as Toronto, Brampton, Newmarket or London. FYI: Brian Goldfinger will be in Thunder Bay tomorrow, and in the beginning of November. Always looking forward to my trips up North!